For all the periodic turmoil, almost invariably leading to closure of the campus, Jadavpur University now has a remarkably cogent reason to preen its feathers. This is the happy prologue to the annual convocation scheduled to be held in a month’s time, an event that was marred some years ago when students refused to accept their certificates from the Governor/Chancellor. It reaffirms yet again that the institution still retains its academic excellence despite the turbulence, gheraos, violence, lathi-charge with the lights switched off, and most recently a bitter kerfuffle over the first year admission procedure when the politically-affiliated section of the teachers was ranged against the Vice-Chancellor. That consistent excellence is central to the bouquet of Rs 41.66 crore advanced by the Union HRD ministry, verily the first tranche of the Rs 100-crore grant announced by the Centre’s Rashtriya Uchchatar Shiksha Abhiyan scheme. Equally is it a compliment to the federal structure not the least because the grant is based on a 60-40 Centre-State ratio. For the initial grant, Rs 25 crore was paid by the Centre and Rs 16.66 crore by the state. The time-frame for utilisation is limited ~ by March next year. Ergo, it devolves on the teachers and the taught to put their best foot forward, indeed to put their shoulders to the wheel. Sad to reflect that in the figurative sense, that wheel has screeched to halt all too frequently over the past few years, resulting in frustration at the apex level of VCs, even a resignation. A dramatic improvement in campus ambience is now still more imperative, and a huge responsibility devolves on the authorities and the students, both in the technological and general streams. Both sides are equally to blame for the occasional impasse. The sanction of Rs 100 crore is an apt recognition of the university’s relentless quest for excellence. 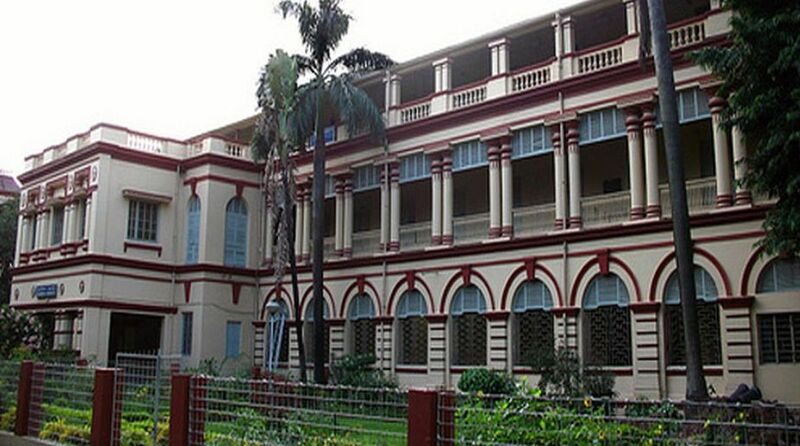 An additional reason that has qualitatively enhanced the value of the grant is that Jadavpur is the lone university in West Bengal which has been selected from among ten other universities with the requisite NAAC score. At stake is the timely utilisation of the university’s Detailed Project Report that it has furnished to the HRD ministry. Happily, the authorities have already identified the goalposts ~ an improved infrastructure for the inextricably intertwined teaching-learning process, matched with better amenities for students, research scholars, and employees. At the academic level, the major challenge is to create the physical research infrastructure and to introduce institutional scholarships and fellowships for pre-doctoral and post-doctoral pursuits. In terms of the time-frame ~ a little over four months ~, there is of course a strong case to make the period of utilisation a little more flexible. More space and equipment will doubtless necessitate a longer perspective. At the end of the day, discipline must of necessity be restored and it must be enduring to forestall further debunking of the campus of excellence.